The Compressed Air Survey Kit is used to identify and eliminate sources of leaks and waste. 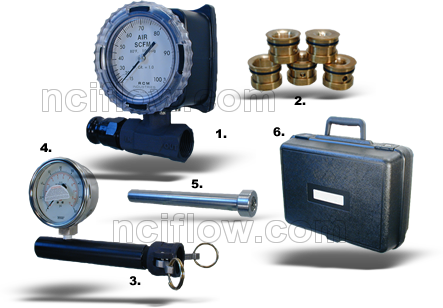 Save up to 30% on compressed air usage by identifying and eliminating waste. Compare air consumption of similar devices. 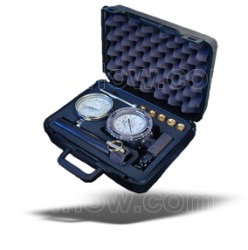 Series 7000 RCM Direct Reading Flo-Gage with 3-1/2″ dial with Special aluminum body Flo-Gage for light weight end. Quick change aluminum pipe adapters for ease in installation and range changes. 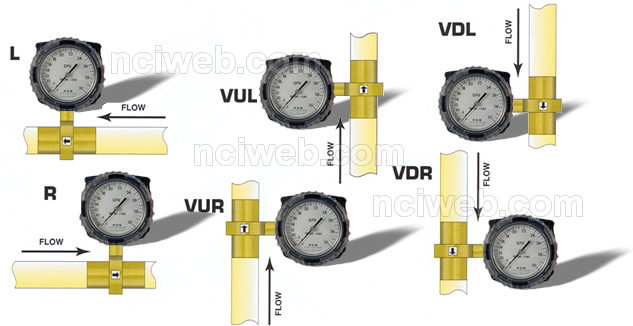 Selection of 5 range orifices. Aluminum inlet manifold with pressure tap for pressure compensating flow readings. Rugged carrying case with instruction manual and pressure and temperature correction factors. 4″ pressure gauge 0 – 160 psig., suitable for field re-calibration, accuracy ±1%, F.S. 1-SK1 1-SK1 with Pressure Gauge 1 inch u00b13% F.S. 1-SK2 1-SK2 without Pressure Gauge 1 inch u00b13% F.S. 2-SK1 2-SK1 with Pressure Gauge 2 inch u00b13% F.S. 2-SK2 2-SK2 without Pressure Gauget 2 inch u00b13% F.S. 3-SK1 3-SK1 with Pressure Gauge 3 inch u00b13% F.S. 3-SK2 3-SK2 without Pressure Gauge 3 inch u00b13% F.S. Require Price & Delivery ? Yes - Let's get started. No - Just have a question or two.